Írta: Káli-Rozmis Barbara 2017. 07. 15. It must have been in 1867, when Elisabeth let her husband come into her bedroom for the last time. 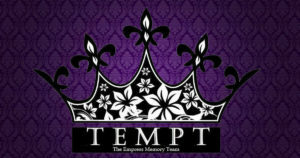 The Empress decided to give birth to another child if the Emperor was willing to make a compromise with the Hungarians. Her decision was a deliberate personal choice and a political negotiation as well: by returning to the marriage and making her husband - who adored her and tried to fulfil almost every desire of “his beloved Sisi”- satisfied, she ensured that Hungary, which she felt an intense emotional alliance with, would gain an equal footing with Austria. It is obvious that Elisabeth felt attracted by the Hungarians. At first, she started to learn the language in order to annoy her mother-in-law, who hated everything in connection with Hungary. Then she started to choose Hungarian companions partly in order to make something against her mother-in-law’s will, and partly in order to be able to use a language in her private chat which was not understood by the imperial court. She chose Hungarian lady’s companions and maid of honours who she could trust because they had no connections with the Viennese court. These ladies accompanied her not only to Vienna but also to her trips and travels as well. Ida Ferenczy, the Hungarian noble lady was her confidant and best friend. The Hungarian Mary Festetics was also a beloved friend and a lady in-waiting of her. Hungarian woman, another maid of honour, Irma Sztáray was next to her at the moment of her death and could hear the Queen’s last words, which were said not in her mother tongue but in Hungarian. But now, let us be back at the end of January 1866 when the Empress travelled to Hungary, where she spent more than five weeks. During her visit, she had several opportunities to meet the handsome former rebellious revolutionist, Count Gyula Andrássy, to whom she said the following in Hungarian: "I will tell you this confidentially therefore I will tell you something I would not tell everybody. If the Emperor’s things go badly in Italy, it hurts me. However, if they go badly in Hungary, it kills me.” The sentences above are also told by Romy Schneider in the film Sissi (1956). The Austro-Hungarian Compromise of 1867 created the double monarchy of Austria–Hungary. Count Gyula Andrássy became the first Hungarian prime minister, and Franz Joseph and Elisabeth were officially crowned King and Queen of Hungary on 8 June 1867. 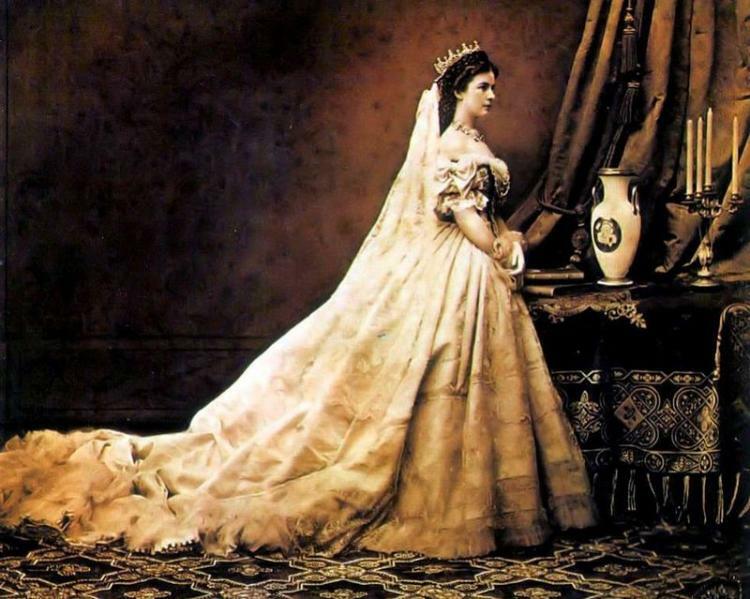 Their daughter, Marie Valerie, was born in Buda on 22 April 1868, ten months after the Compromise as a "gift of the reconciliation" between Elisabeth and the Emperor, and between the Imperial Court and the Hungarians. On the occasion of the coronation, the Hungarian state bought the formal Grassalkovich Palace (of Gödöllő) for the royal family. The Hungarians got to know that Elisabeth had seen the estate earlier and asked her husband to buy that for her. However, the Emperor refused to do so (although he was extremely economical, he usually financed all the things her wife wanted) due to financial reasons - referred to the recent Austro-Prussian War: "You can visit the wounded soldiers in Gödöllő if you wish, but do not look at it as if we wanted to purchase it, because I do not have any money now. In these hard times we must economise. The Prussians have caused terrible damage to our family estates, too. It will take years to recover. (...) Almost half of the horses must be sold and we will be forced to live very modestly", he wrote to his wife in the August of 1866. Marie Valerie, the Hungarian Princess - Why was an Austrian Archduchess forced to talk in Hungarian and use this language as a mother tongue? Born by a Bavarian mother and an Austrian father Marie Valerie was brought up as a Hungarian princess. Although her mother tongue was German, Valerie’s first language was Hungarian and it was the language which she used to talk with Elisabeth and Franz Joseph. This year is the 150th anniversary of the foundation of the Austro-Hungarian Dual Monarchy and the coronation of Franz Joseph and Elisabeth in Budapest. To mark the occasion, the imperial couple’s ties with Hungary will be explored in a small exhibition in the Audience Waiting Room of the Imperial Apartments in the Vienna Hofburg starting on 23 June 2017. After coming to power in 1848, Franz Joseph (following her mother’s advice) had the revolution in Hungary brutally suppressed. The young emperor ruled in a neo-absolutist and authoritarian fashion, but in many regions of his multi-national empire the desire for autonomy was growing. His wife Elisabeth had great sympathy for the Magyars (Hungarians) and lent her support to endeavours to reintroduce the old constitution. 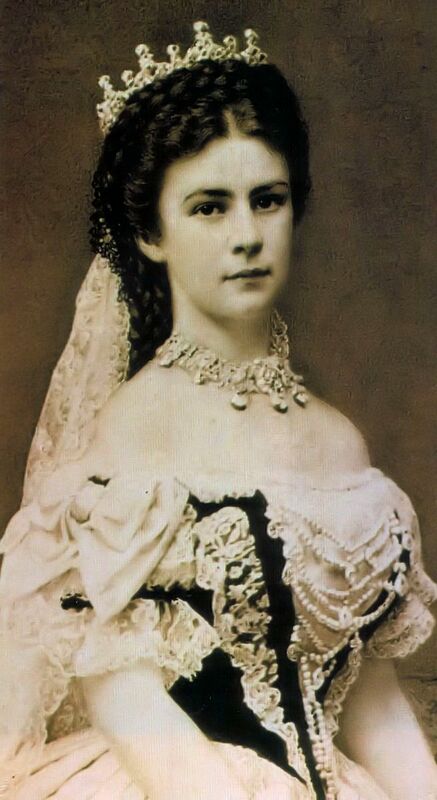 Her emotional speeches given in Hungarian and her contacts with liberal Hungarian politicians eventually led to the coronation of Franz Joseph and Elisabeth as king and queen of Hungary in June 1867. 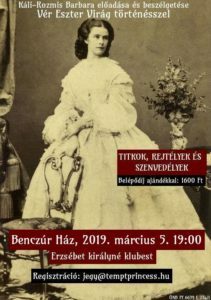 Her love of Hungary, her frequent stays at Gödöllő and the great veneration in which she was held by the Hungarian people will form the focus of this small exhibition. The ticket office closes at 4.30 pm (5.00 pm in July and August), the visit of the Silver Collection is possible until 5.00 pm (5.30 pm in July and August).